Meeting this demand with fossil fuels will be increasing dif cult as reserves become depleted. More important, we know that massive burning of fossil fuels damages our environment. Renewable energy sources, such as solar and wind, provide an inexpensive and clean alternative to burning fossil fuels. To prepare the next generation for this change, Kristin Hentschel, Pagosa Springs Middle School sixth-grade science teacher, orga- nized a Renewable Energy Day. This project was funded by a $1,000 grant from the Foundation for Archuleta County Education (FACE). The 120 sixth-grade students were divided into eight groups which visited eight renewable energy projects. Parents and com- munity scientists manned each of the eight stations. “I liked all the stations. This was perfect.” — Daniel B. Outstanding Grand Lake (OGL), a sustainability arm of the Grand Lake Chamber of Commerce, has started initial meetings with the Colorado Water Quality Control Commission as they move forward on a three-year timeline toward Outstanding National Resource Water (ONRW) designation. In November, the Town of Grand Lake voted unanimously to support the designation of Colorado’s largest and deepest natural lake to Outstanding National Resource Water status. This would move Grand Lake into the same classification of other highly regarded bodies of water, such as Lake Tahoe in California. The OGL Committee also met with Keep Tahoe Blue, the League to Save Tahoe, in November, and were encouraged to hear that ONRW boosted both the environmental and the economic success of the lake. Executive Director for the League, Darcie Goodman Collins, reported that there were no negative impacts on the Lake Tahoe businesses or on new development, with the community fully supporting the designation. Grand Lake will have further discussions with Lake Tahoe to implement best practices from their community. In December, OGL has been contacted by the Sonoran Institute in Denver to collaborate with San Luis Rio Colorado, Mexico to bring attention to the Colorado River and its epic journey downstream. This will include the building of a park on the Front Range that illustrates where the headwaters transverse from above Grand Lake, through the delta to reach the ocean. Nobody disputes that the Colorado-Big Thompson project has changed Grand Lake, the state’s largest, deepest natural lake. How could it not? But now, in a reversal, the bureau is working with 18 other stakeholders in an effort to solve the problem. Parties include Northern Colorado Water, the agency that manages the diversions for cities and farmers of northeastern Colorado, Grand County and other state and local organizations. Grand Lake’s story fits into a broad theme of changed sensibilities in Colorado about 20th century river alterations. Restoration and remediation projects are starting or underway on the San Miguel River in Telluride, on the Eagle River at Camp Hale and on the Fraser River near Winter Park. Evidence for the historic, pre-construction clarity of Grand Lake is scant: Just one measurement, taken in 1941, of 9.2 meters (30 feet). Clarity is not the only issue, though. Water must be delivered to farms and cities. As it is flows downhill toward the Great Plains, it generates electricity distributed by the Western Area Power Authority. Purchasers of this low-cost power include Aspen Electric and Holy Cross Energy. Movement has occurred during the last decade. One avenue for local protest was a proposed expansion of an existing diversion of the Colorado River at Windy Gap, about 15 miles downstream. Completed in 1985, the Windy Gap dam uses the C-BT infrastructure to deliver additional water to the Rawhide power plant north of Fort Collins, Greeley, Boulder and other cities. O’Donnell, of the Three Lakes Watershed Association, thinks the changed attitudes is explained by the persistence of individual public officials. He also points to the influence of Anne Castle, a long-time Denver water lawyer who served from 2009 to 20014 as assistant secretary for water and science in the Interior Department. Her responsibilities included oversight of the Bureau of Reclamation. The precise circumstances that cause algae and sediments to degrade clarity are poorly understood. Northern has been altering its diversion regimes, to see if that will improve clarity. Editor’s note: Aspen Journalism and the Aspen Daily News are collaborating on coverage of Colorado’s rivers and water. More at http://www.aspenjournalism.org. The Longmont City Council reached a consensus Tuesday night — they would rather the city pay roughly $47 million in cash instead of using debt for a portion of the Windy Gap Firming Project. Water rates are set to increase by 9 percent in 2017, 2018 and 2019, then 8 percent in 2020 and 2021, said Dale Rademacher, general manager of public works and natural resources. City Manager Harold Dominguez said there are plans in the works to test utility rate discounts for low-income households. To qualify, a single Longmont resident would need to make less than $12,720 in a year or a married couple would need to earn less than $17,146 in a year, although those limits could have adjusted slightly since the test program was introduced. The City Council also directed Rademacher to explore alternative financing so the entire burden of the $47 million doesn’t fall on ratepayers. There’s a Windy Gap surcharge on new water taps that sunsets at the end of 2017. Councilmembers said they’d rather the surcharge just stayed in place in order to generate funds for the Windy Gap project. Additionally, a property owner can either transfer non-historical water rights to satisfy a raw water requirement or pay cash-in-lieu. Staff will study limiting it to cash payment only in order to pay for Windy Gap. The long awaited development of Northern Water’s Chimney Hollow Reservoir cleared one of the final two hurdles on the road to construction in late March when the Colorado Department of Public Health and Environment (CDPHE) released its 401 water quality certification for the project, generally referred to as the Windy Gap Firming Project (WGFP). The issuance of the 401 water quality certification from the CDPHE was one of two final steps in the permitting process required for construction on the project to begin. The 401 certification from the state comes after 13 years of work. 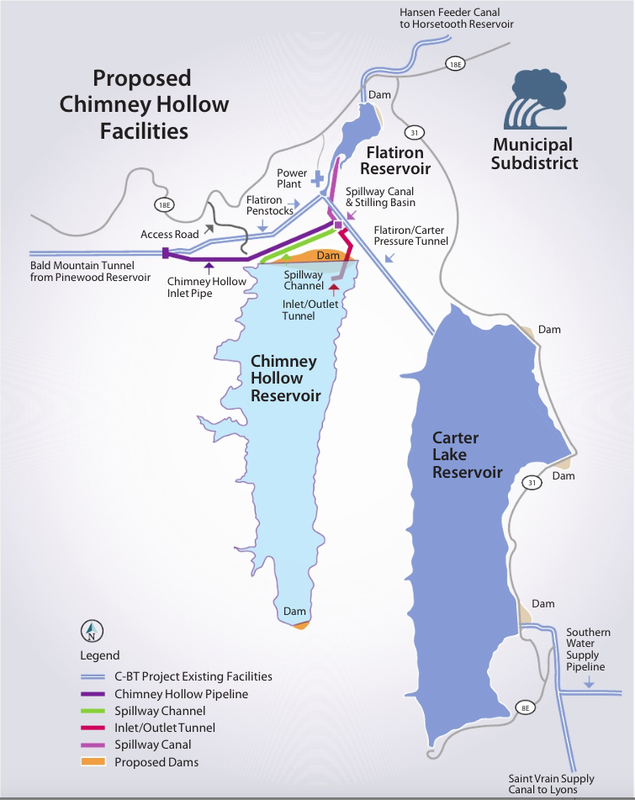 According to Northern Water’s Public Information Officer Brian Werner Northern Water began the formal permitting process for the development of Chimney Hollow Reservoir in 2003. Since beginning the formal permitting process Northern Water and other participants have spent roughly 15 million dollars on the projects permitting process. Now that Northern Water has received their 401 certification from the state the municipal water provider is awaiting a 404 wetlands permit from the US Army Corp of Engineers, the final permitting step before construction can begin on Chimney Hollow. As a matter of practice 404 wetlands permits from the Corp of Engineers require issuances of state certifications, like the CDPHE 401 water quality certification, before the Corp of Engineers can complete their own permitting processes. “This is the next to the last step in getting the project permitted,” stated Project Manager Jeff Drager. Officials at Northern Water said they expect the 404 wetlands permit is forthcoming and anticipate its issuance in the next few months. 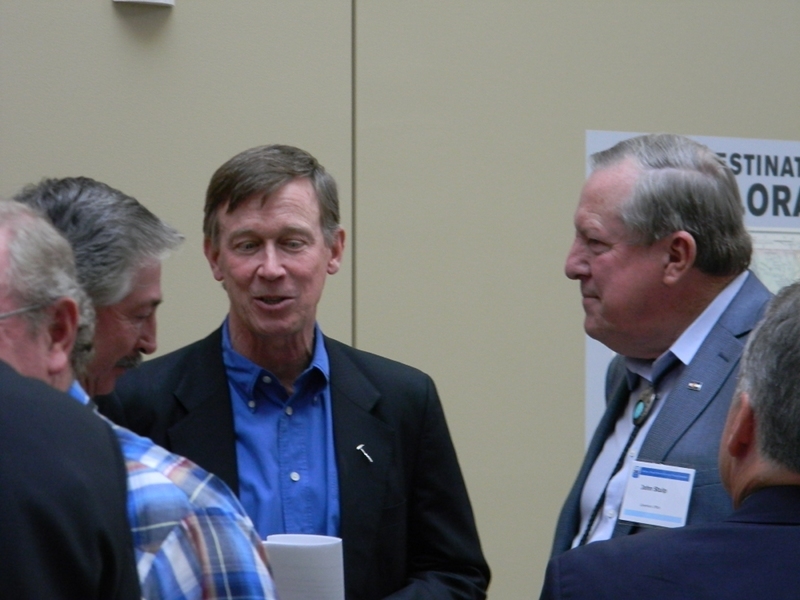 Werner was quick to point out that Governor John Hickenlooper has officially endorsed the project, a first in the history of the state according to a press release from Northern Water highlighting the endorsement. “Northern Water and its many project partners have worked diligently, transparently and exhaustively in a collaborative public process that could stand as a model fro assessing, reviewing and developing a project of this nature,” stated Hickenlooper in a letter read at Northern Water’s Spring Water Users meeting in Loveland last week by the Governor’s Water Policy Advisor John Stulp. Once Northern Water has secured the final permit for the project from the Corp of Engineers work on Chimney Hollow Reservoir can begin. 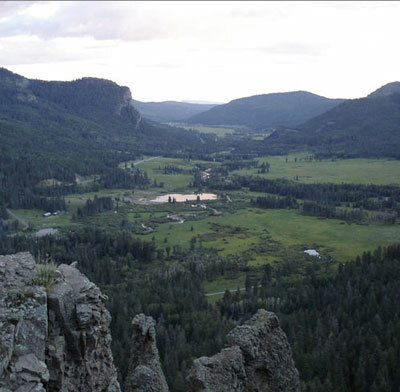 Chimney Hollow is eventually expected to store 90,000 acre-feet of water and will be located just west of Carter Lake Reservoir in southern Larimer County. 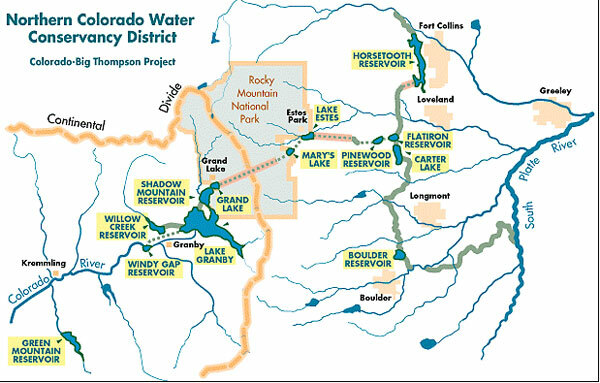 The development of the reservoir will mean additional water diversions out of Grand County. The total estimated price tag for the WGFP is around $400 million. 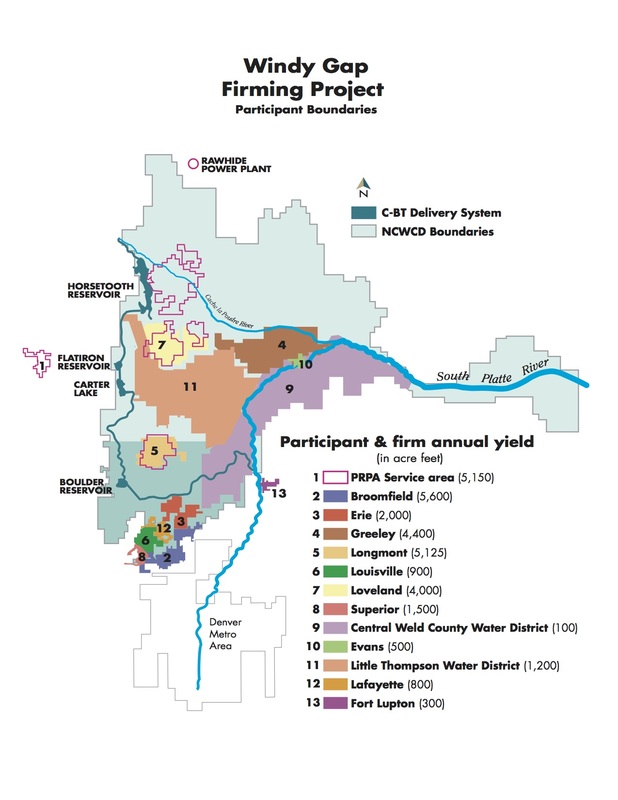 Despite environmental concerns produced by the additional diversions both Grand County and the conservation group Trout Unlimited have endorsed the project, following sustained negotiations between Northern Water and various stakeholders from the western slope regarding environmental mitigation and adaptive management plans for the Colorado and Fraser Rivers. A press release from Trout Unlimited praised the river protections that were reaffirmed with the state 401 certification. “We strongly believe these permit conditions establish a strong health insurance policy for the Upper Colorado River,” stated Mely Whiting, counsel for Trout Unlimited. In their press release Trout Unlimited outlines conditions within the 401 certification the organization feels will address both fish habitat issues and water quality needs including: monitoring of stream temperatures, key nutrients and aquatic life, providing periodic “flushing flows” to cleanse the river during runoff and requiring ongoing monitoring and response if degraded conditions are detected. Debate continues to swirl around water clarity standards for Grand Lake, but recently stake holders on the Western Slope presented a new proposal in hopes of moving negotiations forward. Western Slope stakeholders recently presented a revised clarity standard proposal to the Water Clarity Stakeholders group for consideration. The revised clarity standard proposal presented by the Western Slope stakeholders is for 3.8 meters, or 12.5 feet, with a 2.5 meter, or 8.2 feet, minimum clarity depth. This is a reduction from their previous proposal of a 4-meter standard. 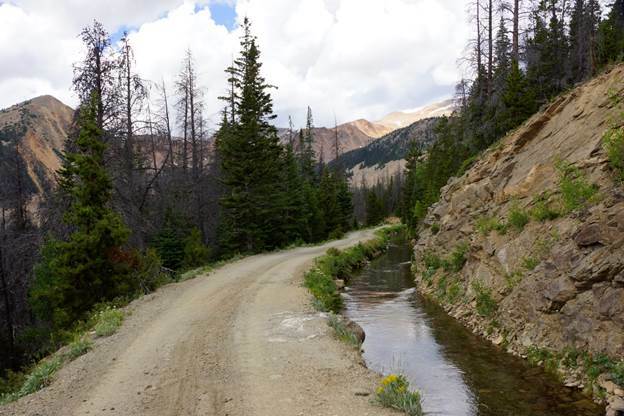 Representatives from the Western slope stakeholders together with others from the east side of the continental Divide make up the Water Clarity Stakeholders Committee (WCSC). The WCSC is formed from the various entities affected by water clarity in Grand Lake and the operation of the Colorado-Big Thompson Project (C-BT), which pulls water from the Three Lakes region that is sent through the Alva B. Adams Tunnel out of Grand Lake to the Front Range. The WCSC includes representatives from the U.S. Forest Service, Town of Grand Lake, Western Area Power Administration, Grand County, Northern Water, the U.S. Bureau of Reclamation, power consumers from the affected area, the U.S. Environmental Protection Administration, the Colorado River Water Conservation District, the Three Lakes Watershed Association, Northwest COG, Colorado Parks and Wildlife, Trout Unlimited, Middle Park Water Conservancy District, U.S. Geological Survey, the Grand County Water Information Network, and various other groups. Representatives from the WCSC hope to negotiate a single water clarity proposal amongst themselves that can be presented to the Colorado Water Quality Control Commission, the entity that will give final approval of any new water clarity standard. The Commission is part of the Colorado Department of Public Health and Environment. The WCSC is working toward a deadline; their proposal is due in November. Grand County Manager Lurline Underbrink-Curran has helped shepherd the process for the county. “The West Slope group came up with compromises we felt we could live with and presented them to the larger group,” she said. Underbrink-Curran explained that if the various groups cannot come to agreement on a proposal then multiple proposals will likely be submitted to the Water Quality Commission. 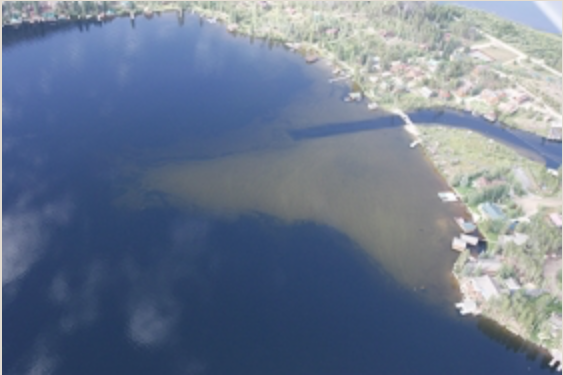 The debate has been ongoing for several years now and started in earnest in 2008 when a committee was formed to study possible methods for improving water clarity in Grand Lake. According to Canton O’Donnell, president of the Three Lakes Watershed Association, that committee, which later became the Water Clarity Stakeholders Committee, was formed from the sustained lobbying efforts of the Three Lakes Watershed Association to improve the water clarity standard. The Northern Colorado Water Conservancy District, better known as Northern Water, operates the C-BT though the facilities are officially owned by the federal Bureau of Reclamation. Werner also expressed concerns over how such a standard would be enforced and how penalties for failing to meet any new standard would be applied. More Grand Lake coverage here and here. 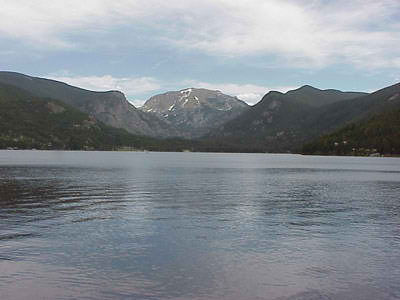 In 2008, those concerned for Grand Lake established a site-specific water clarity standard through the Colorado Water Quality Control Commission. 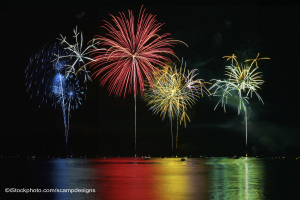 This visionary application of a water quality standard to lake clarity, which was intended to restore the scenic attraction of Grand Lake, is unprecedented in Colorado. The Western Slope stakeholders’ proposal — a target of 12.5 feet average clarity, with a 8.2 foot minimum — is still a far cry from the 30.2 feet of clarity measured prior to implementation of the C-BT. Yet this proposed clarity standard is an effort to recognize the water-delivery mandate of the Colorado-Big Thompson system while protecting lake health and allowing time for the U.S. Bureau of Reclamation to evaluate a more robust permanent solution. The Western Slope stakeholders — made up of Grand County government, the Three Lakes Watershed Association, the town of Grand Lake, Northwest Colorado Council of Governments, and the Colorado River District — proposed this modified standard to be applicable for all of July, August and 11 days in September at the height of the region’s tourist season. It is the hope of Eastern and Western Slope stakeholders to arrive at an agreement prior to the start of Colorado Water Quality Control Commission submittals beginning in November, for the sake of this valued resource.